Nowhere in the world have we seen such unique mountain formations than during our trip to Patagonia. Tall and narrow, jagged and uneven, these peaks are some of the most photographed in the world – and for good reason. 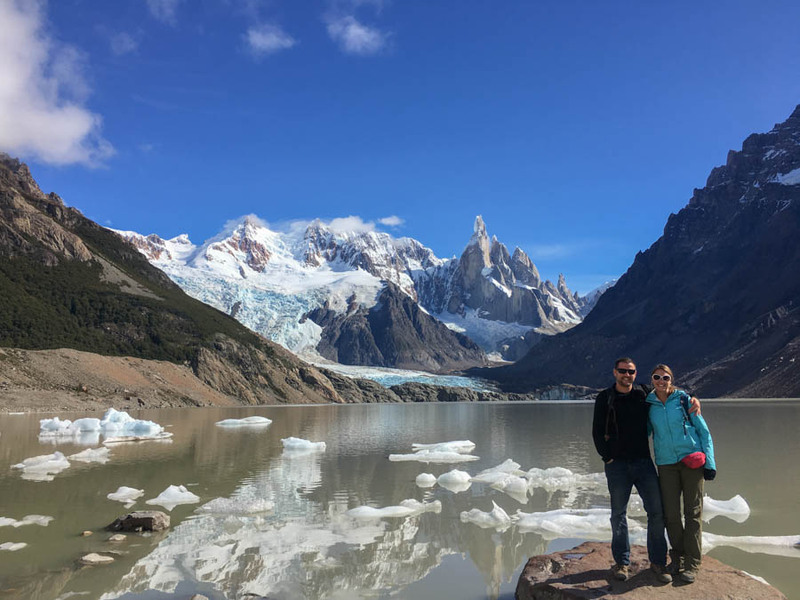 With the impressive “Towers” on the Chilean side and captivating Mount Fitz Roy on the Argentinian side, as trekkers and lovers of mountains, we were in heaven. 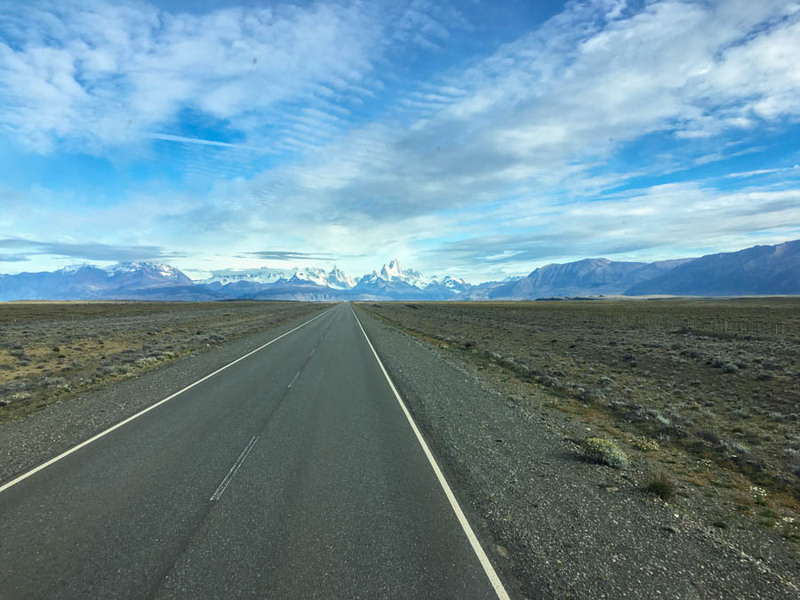 Our bus journey from El Calafate to El Chaltén was just an average ride until about the last 15 minutes. There in the distance, clear as could be, was Mount Fitz Roy. Everyone came to the front of the bus to get a photo of this goliath. Typically the mountain is shrouded in clouds, but I guess we brought the blue sky and sunshine with us, as it was completely visible! Our first look at Mount Fitz Roy! So far during our trip, backpacking in Patagonia hadn’t been cheap. In fact, it had been incredibly expensive. 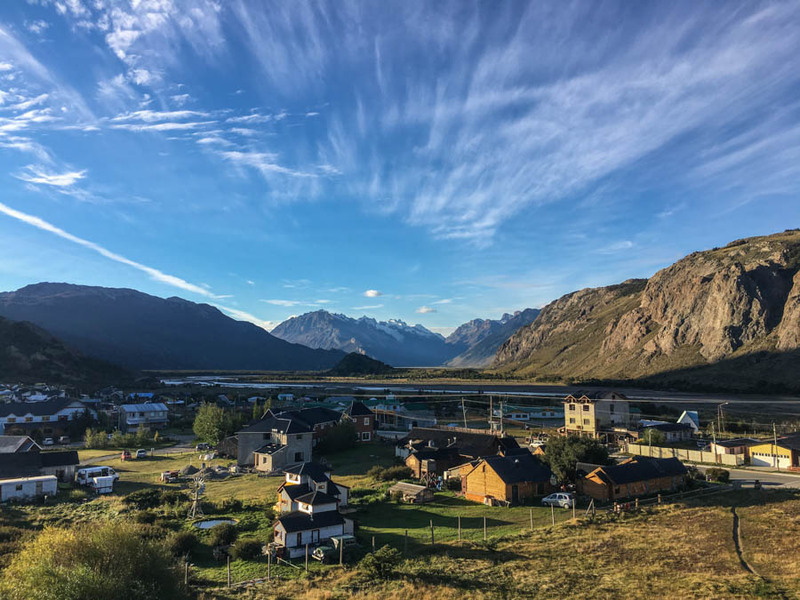 However, we were about to be pleasantly surprised by El Chalten’s affordable restaurants and bars, and the free hikes on offer! The bus pulled into town and after a mandatory briefing on the National Park by one of the rangers, we were allowed to continue on. One of the unique aspects of El Chaltén is that it’s located in the Los Glacieres National Park (along with Perito Moreno Glacier). However, unlike the glacier, this park is free to enter – something that is unheard of in Patagonia! The ranger stressed the importance of preserving this pristine environment. Using the toilets rather than the bush, and bringing our garbage out with us when we leave the trails were all things we could do to help out. Strict fines are in place for those who don’t follow the rules. We hoisted our backpacks over our shoulders and made our way towards the chalet-chic hotel that sat on a small hill above El Chaltén. 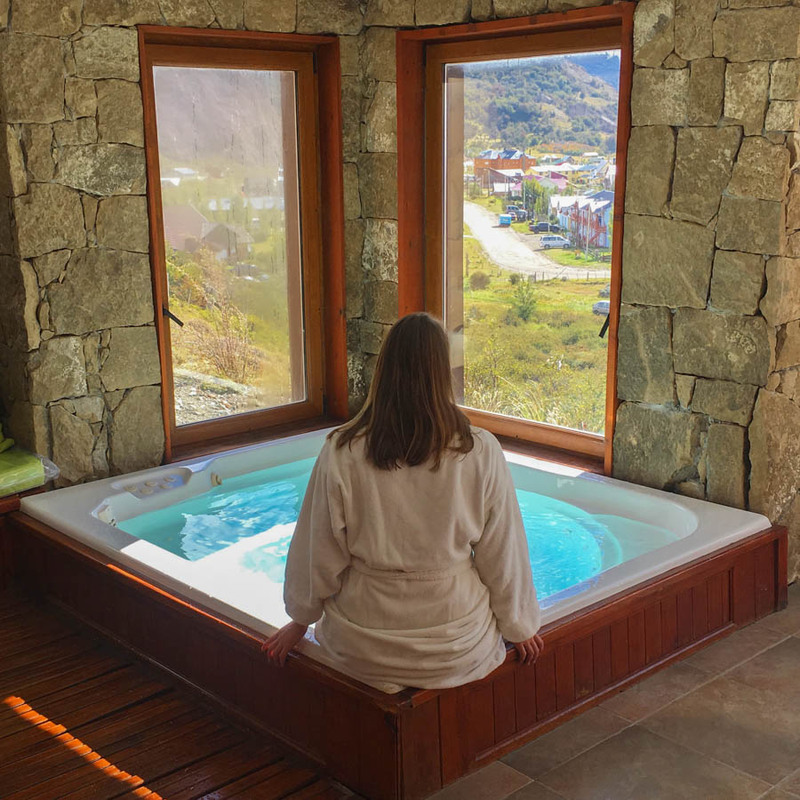 With stunning views of the valley and mountains, the Don Los Cerros Boutique Hotel would be our home for the next 4 nights. 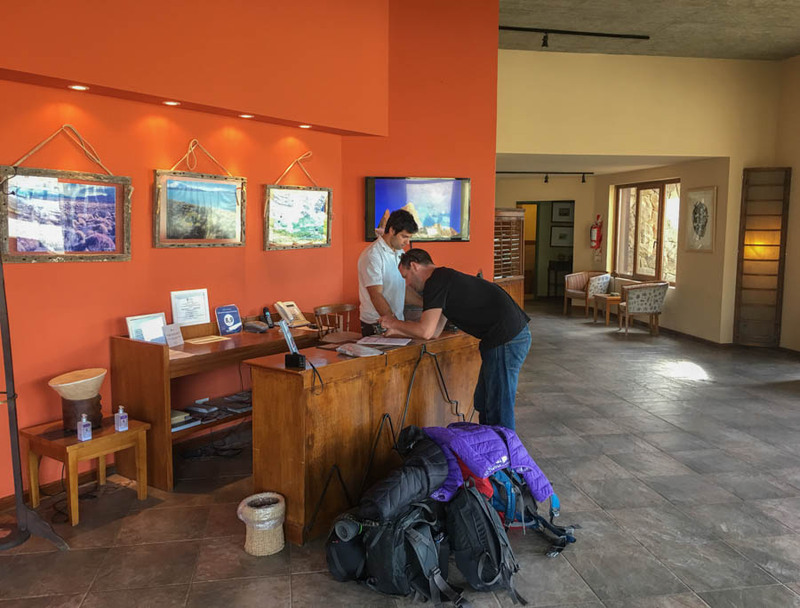 Efrain gave us one of the warmest welcomes we’ve ever had, and after chatting about our recent trek in Torres del Paine National Park and showing us some of the hikes around the town, we made our way to our room. A massive jacuzzi tub was the first thing I noticed, while Nick was immediately in love with the king-sized bed and floor to ceiling windows. A full breakfast spread was included (with BACON! ), there was a massive common area upstairs with couches and tables, and the breakfast / bar area had incredible views. Not only was the hotel itself gorgeous and a great place to spend the next 5 days, but the location of it was perfect as well. Leaving the doors of Don Los Cerros, we walked for about 5 minutes before reaching the trailhead to one of the most popular and beautiful treks, Laguna Torre. 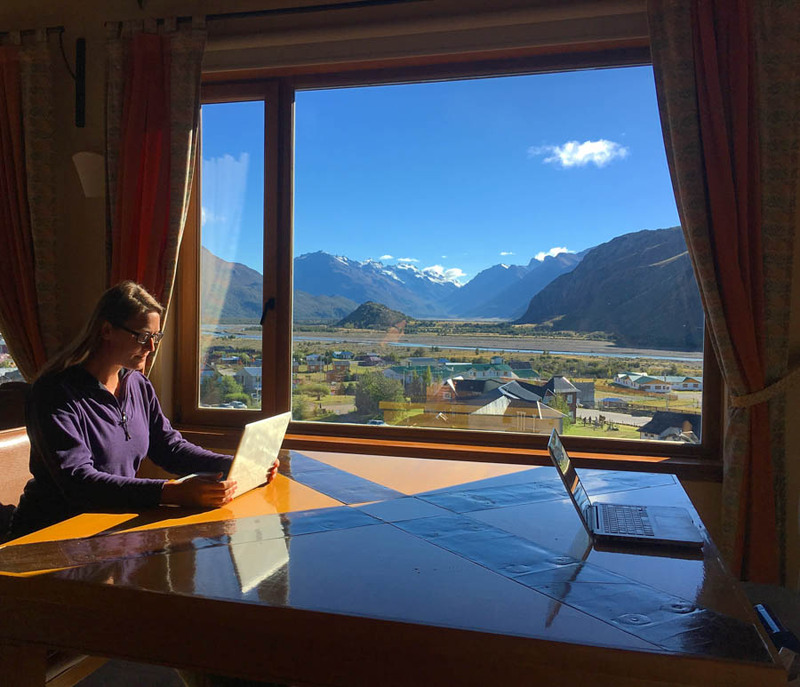 The bar and breakfast area was the perfect place to work – with amazing views! 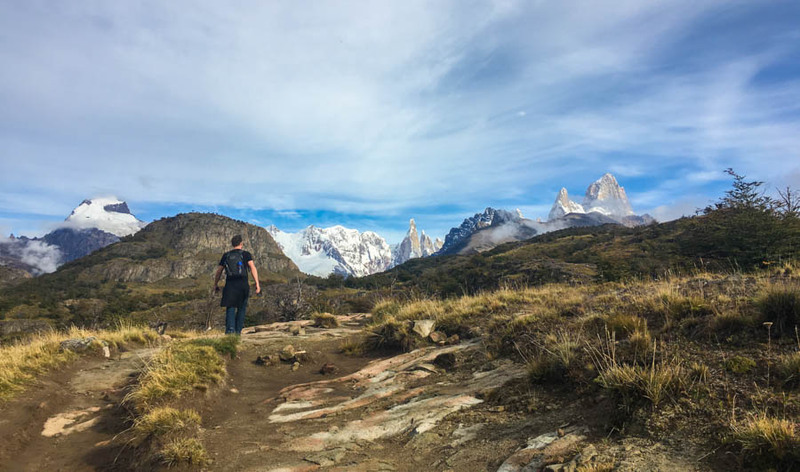 Within about 20 minutes of hiking, we had our first look at the Cerro Solo, Adela range, Cerro Torre and the Fitz Roy mountain. What a stunning range of granite peaks! 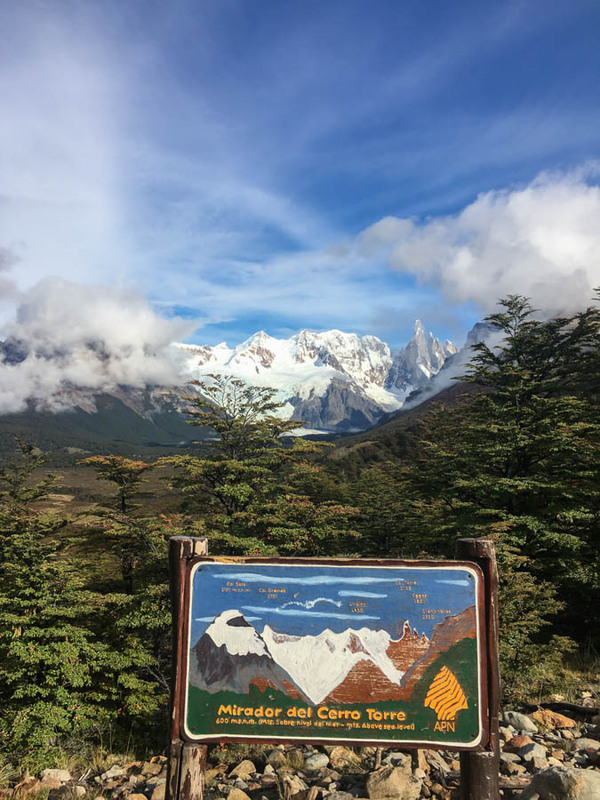 Continuing along the pathway, we arrived at the first and only toilet on the trail, plus another viewpoint of the Cerro Torre (cerro means “hill” or “mountain” in Spanish) and the Andela Range. At 3,102m, the Cerro Torre is the tallest peak of the bunch, and the one which stands out the most due to its unusual form. With the rushing Fitz Roy River to our left, the incredible mountain ranges ahead and beautiful foliage on our right, it couldn’t have been any better! With one final rocky hill to climb, we made it to the Laguna Torre (the Torre Lagoon), and were in awe of the landscape before us. Towering over the glacier fed lake were the mountains that we had seen from a distance just a couple of hours ago. We made our way down to the lakeshore to admire the views, and the bits of glacier floating in the lake. It only took us about 2.5 hours to reach here, which was just in time for lunch. This is a great spot for a picnic, and you can bring your cooking gear if you have it. 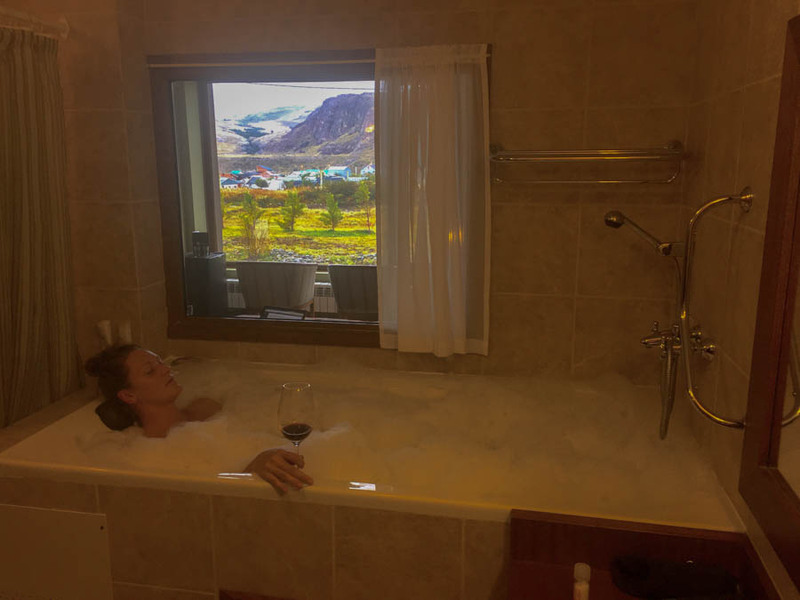 Unlike Torres del Paine, you don’t need to be in a designated spot to cook. After enjoying the views and resting for a while, we turned around and made our way back to El Chaltén, just as the clouds began to cover the peaks. 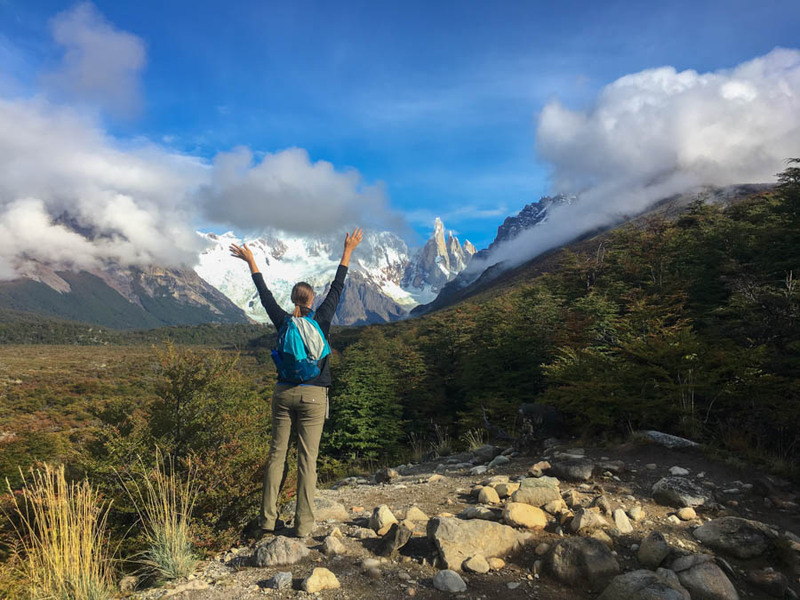 There are many more treks, both easy and challenging, around El Chaltén, but after having just completed the “O” Circuit in Torres del Paine, my back wasn’t doing all that well, and both of our feet were still incredibly sore and swollen! Unfortunately, the Laguna Torre Trek would be the only one we accomplished during our stay. But, even though we weren’t trekking, we still really enjoyed the little town and the spa and bar area of our hotel! Hot tub with a view! 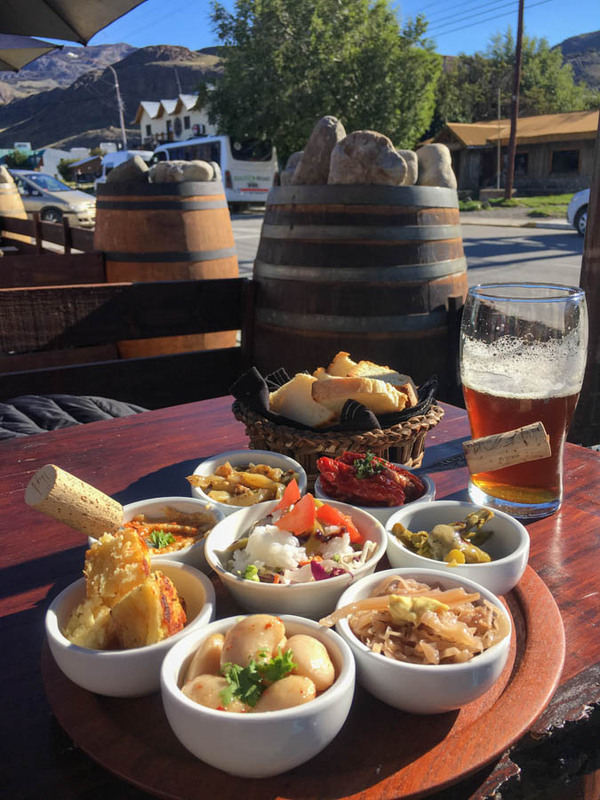 After eating steak, lamb, empanadas, pizza and pasta for the past 3 months, we were thrilled to find a vegetarian restaurant, a burger bar and a little wine bar serving up sandwiches, salads and mediterranean style platters. Even though it was the shoulder season, there were still some trekkers and travellers around, and we met up with some cool Dutch people while drinking beers on an outdoor patio in the sun. With new friends, booze and views of the Fitz Roy Mountain, it couldn’t have been any better. 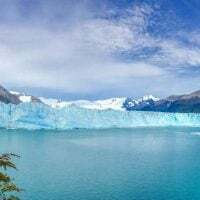 El Chaltén is a must-visit for those who are in the Patagonia region. Even if you’re not an avid trekker, there are some easy day hikes that you can do, and a nearby waterfall. The town itself has a great vibe and the people are really chilled out and very friendly. Plus, there are loads of food and drink options (with some restaurants charging much more than others). After a relaxing and very enjoyable 5 days, we moved on. It was time to see the northern reaches of Patagonia in Argentina’s Lake District. Buses from El Calafate to El Chaltén cost 450 pesos ($29.50), and take about 3 hours. Buses from El Calafate to Bariloche don’t run frequently in the shoulder season. Book in advance and check with the station to make sure the bus leaves when you need it to. The cost of the (horrible) bus to Bariloche is 2,040 pesos ($133.50) and it takes 26 hours on average. Recommended restaurants include: B&B Burger Joint (but make sure to check your bill as they overcharged us 2 times), Prana Vegetarian Restaurant, and Vineria wine bar (which has great food). For the Laguna Torre trek, make sure to have enough water. We assumed there would be a clean, freshwater source along the way, but even though there is a river, it’s difficult to get down to and the water is murky. There is one place at about 7 kilometers that has a little wooden bridge – there’s a clean stream there to fill your bottle. When planning your trip to El Chaltén, consider the time of year. Many things are closed in the shoulder / off-season, including restaurants, hotels and trails. 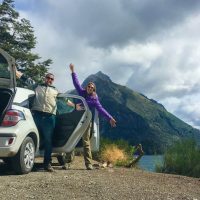 Check out our Travel Video from El Chalten! I’ve been contemplating whether to travel to Argentina or Peru as I can only pick one because of time constraints. Thanks for the useful info! Great experience and your blog unique aspects you have captured El Chaltén which is located in located in the Los Glacieres National Park. Thanks. 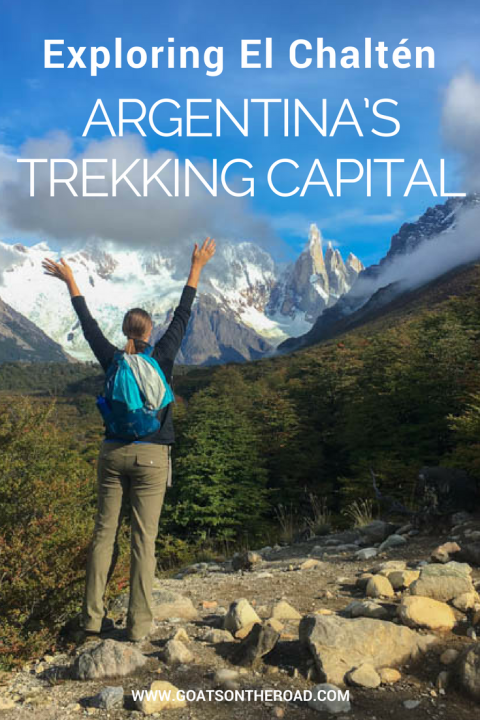 Outstanding blog great explored trekking in Argentinas. Thanks.